What are HEPA Vacuum Filters? Vacuum cleaners are used for improving the quality of life for people who are afflicted with allergies and asthma. They do this by eliminating the presence of dust and other small particles in the air. However, sometimes a regular vacuum cleaner is not enough to do the job. This is where HEPA vacuum filters come in. This type of vacuum cleaners work by removing the tiny allergen particles that make their home in bedding, upholsteries and the like. HEPA stands for High Efficiency Particulate Air. HEPA vacuum filters have been around since the 1950s. Today their usage is widespread. They are not only used in vacuum cleaners, but in other industries as well. 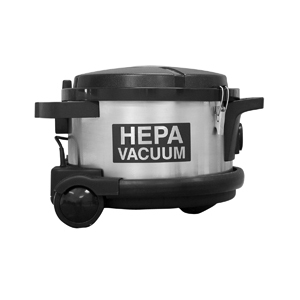 As mentioned earlier, HEPA vacuum filters are able to pick up particles that are much smaller and finer than regular vacuum cleaners are able to. They are especially useful for households with family members that suffer from allergies triggered by pollen, dust mites, and the like. What sets apart HEPA vacuum cleaners from regular vacuum cleaners is their ability to keep the debris from blowing out of the exhaust once you are finished vacuuming. Because obviously; this defeats the purpose of vacuuming the area altogether. Needless to say, using HEPA vacuum filters is extremely beneficial for one’s home regardless of whether or not someone suffering from allergies or asthma resides there. This is because the end result is the same: a cleaner, safe atmosphere that is free from dust mites, pollen, and other allergens. It is best to use HEPA vacuum filters specifically in areas where the aforementioned tends to accumulate such as carpets, mattresses, upholstery, curtains, etc. In order to make the most of HEPA vacuum filters, it is essential to change and change them regularly. Otherwise the dust or debris will build up and your vacuuming will be in vain. If allergies or asthma is an issue, you should not merely rely on HEPA vacuum filters to get rid of dust and other allergens. Remember to wash your sheets regularly and air them out well. It is also advisable to hire a cleaning service to conduct thorough cleaning services in your home.